ACSH advisor Dr. Jerry Cuttler, an independent consultant based in Toronto, has been carrying on an almost solitary crusade to de-mythologize and tether to actual evidence the widespread fears and regulatory hyper-precaution concerning ionizing radiation and nuclear power. His recent talk at the VII International School on Nuclear Power, National Centre for Nuclear Research, in Warsaw Poland, was entitled Radiation effects on humans and organisms, and reasons for the fear. Chronic radiation is beneficial < 700 mGy/year. Radiation becomes harmful > 700 mGy/year (According to the National Council on Radiation Protection, the average person receives about 3.6 mGy/year from background sources and a dental X-ray is about .005 mGy). The linear non-threshold (LNT) theory states that there is no safe level of radiation exposure, that even one tiny photon can provoke cancerous changes in DNA, thus all such exposure must be tightly regulated. His assertion is that below a certain floor-threshold, no harm (and, in fact, immune-stimulating benefits) results. Such low-level, beneficial exposure is called hormesis. The authorities will have to communicate factual information about the health effects of nuclear radiation, rather than stick with the inaccurate, ideologically-based LNT policy. ACSH s Dr. Gil Ross had this comment: Dr. Cuttler is also a co-author of ACSH s 2009 publication, Nuclear Energy and Health, which was published in the peer-reviewed journal, Dose-Response. 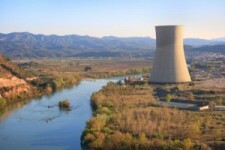 Given the lack of pollution and the high degree of safety compared to every other source of energy, it would be highly beneficial to everyone if the superstitious antipathy to nuclear energy were diminished. Clean, safe nuclear power could be a major contributor to everyone s ostensible goal: sustainable energy.